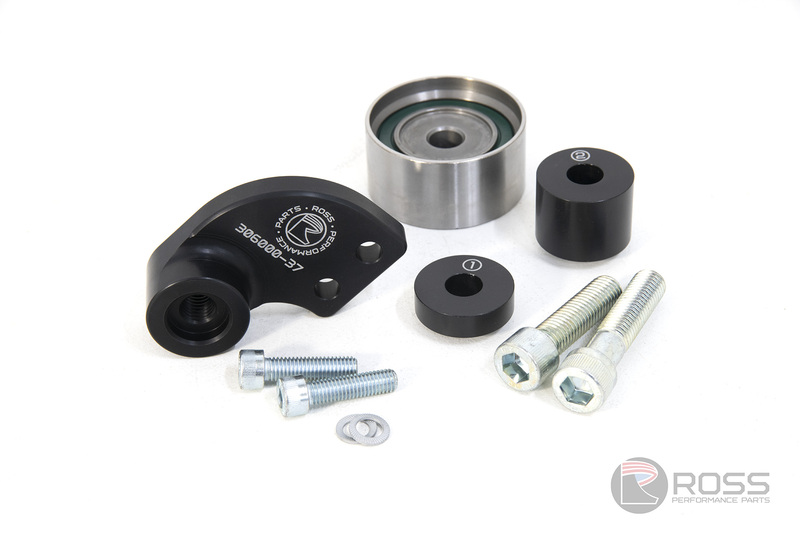 If aggressive driving is causing your power steering belt to part company with your pulleys, a Ross Performance Parts Nissan RB Power Steering Idler assembly may be your solution. This power steering idler assembly creates increased belt wrap around the power steering pulleys providing greater surface contact between belt and pulleys effectively reducing the potential for slippage and spitting belts under consistently higher RPM whilst retaining a serpentine belt. This power steering idler assembly is required when creating a single belt external oil pump and power steering set-up using Ross Performance Parts 38T HTD pulley and 19T drive providing the correct level of belt wrap. Note: This assembly is designed to fit with a Ross Nissan RB25 Billet Power Steering Pump Bracket (will not fit on a OEM RB30 power steering pump bracket).